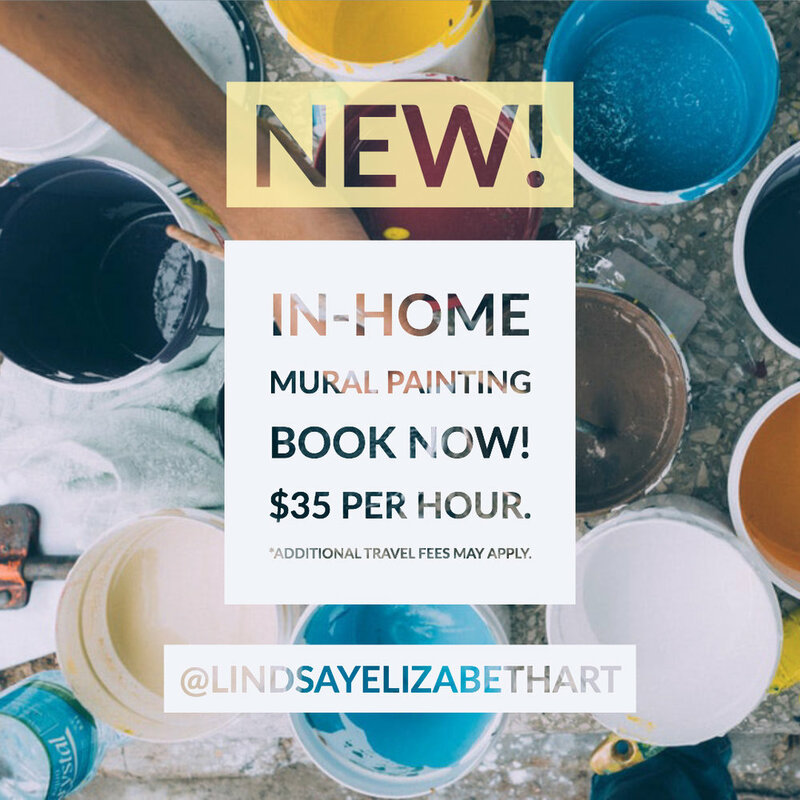 Lindsay Elizabeth Art is a full service creative business. If you have an idea for a home decor project, a gift, a fundraising event, chalkboard menus, sidewalk chalk displays, or simply love original art, contact me to start the conversation. Watercolor portraits of your furry loved ones start at $85. Simply email me a few photos to start the process. Face painting is fun for all ages. Add experience to your next birthday party, fundraising event, holiday gathering, team-building activity, bachelorette party, or anything you can think of! For smaller parties, I offer full and half face designs. Larger groups will be able to select from designs that can be completed in 3-5 minutes. Both types of events can be themed with designs planned ahead of time if you wish. Contact me to get a quote and discuss details for your event. Silhouettes of your loved ones start at $25. You can choose from a more transparent and trendy watercolor painting or a classic opaque acrylic. Stylized portraits are created with watercolor and pen and ink and start at $95. This trend is great for holiday gift giving. Are you brave enough to commit to the most unique, statement-making, bold, and creative accent wall? SAY YES! My hand-painted murals are created with latex and acrylic paint. I have ideas for just about every room in your home. Contact me to discuss your home's color palette, style, your budget, and let's get started. I am also available for school, classroom, or office space murals. Anything you can think of, we can make it happen! Do you want to catch the attention of those walking down the street? Will you be hosting an outdoor event? 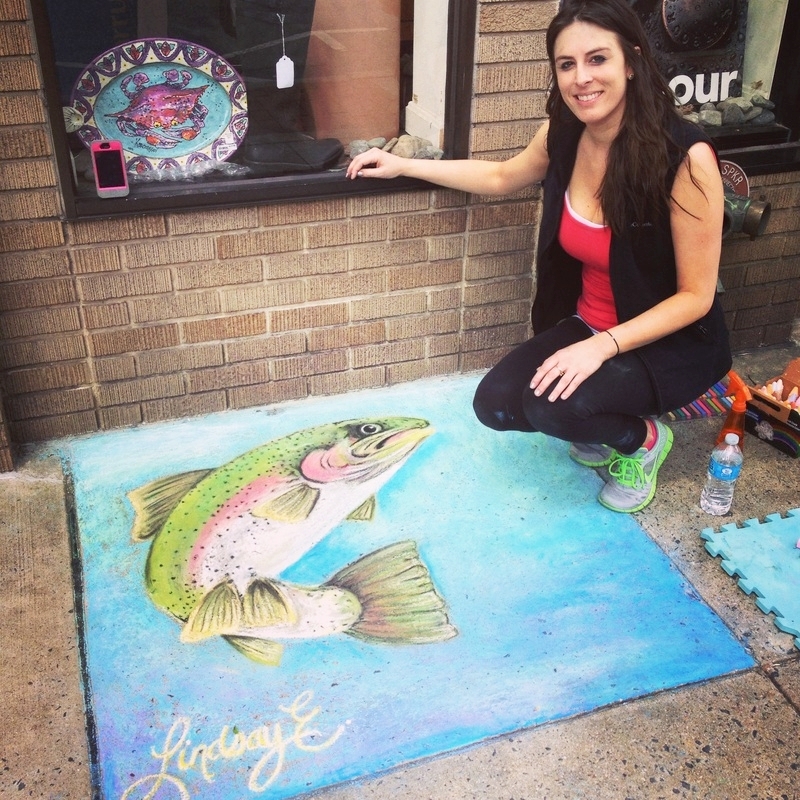 If you want to draw people into your business, an image or message on the sidewalk they can’t miss is the perfect way to do that. Contact me to get your event on the books!